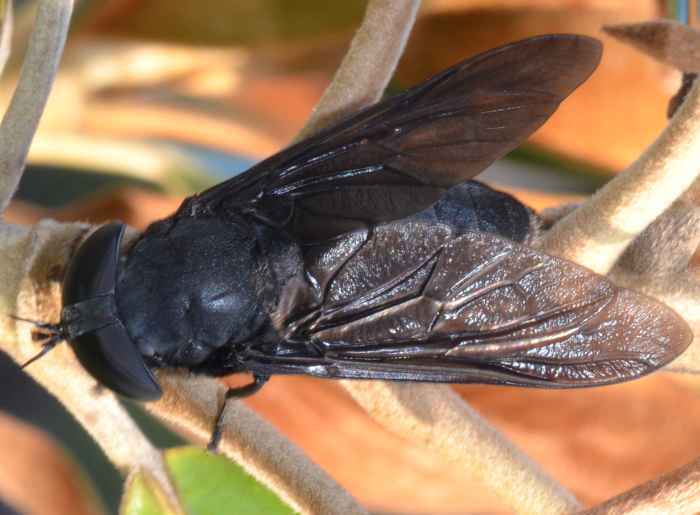 Tabanus atratus (Black Horse Fly). Size: approx. 40-50 mm. Photo: 08/22/11, 9 am. 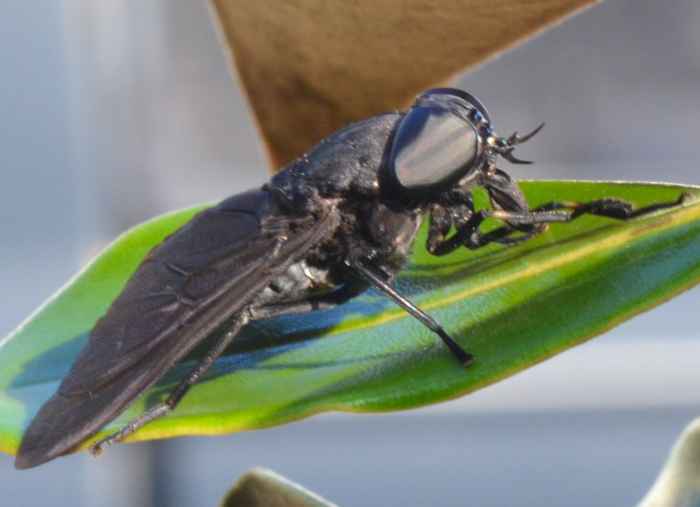 A huge and entirely black fly with scary mouth parts that are used to slice the skin of victims. Female flies lap up blood while males drink nectar. 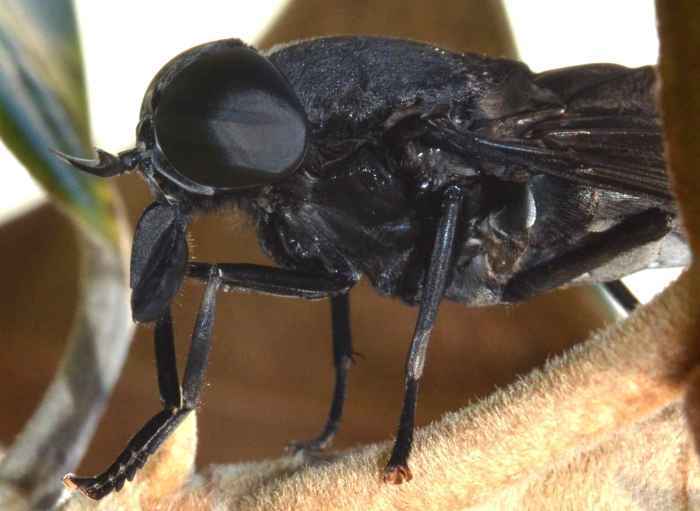 The second link describes the bites as very painful and notes that this fly tends to target livestock and horses more than people. 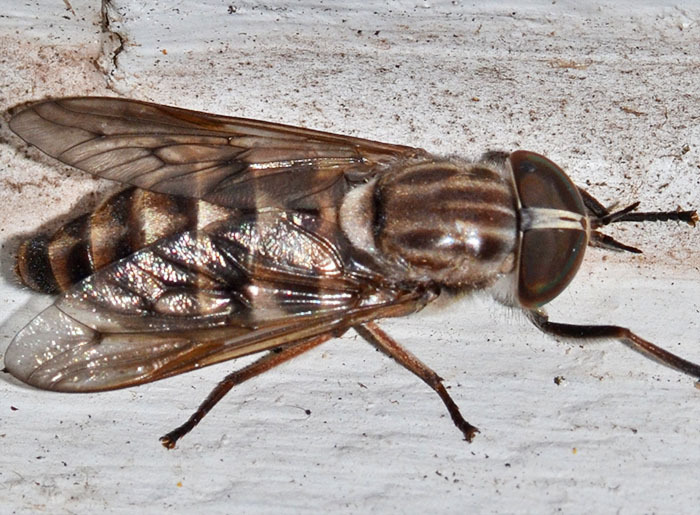 A less intimidating, biting horse fly from the Tabanus genus which has more than 100 species in the US. The eye-gap gives away that this specimen is a female.